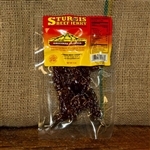 2oz of original Sturgis Beef Jerky. 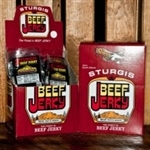 Made by the Sturgis Jerky Company & it's super tasty! 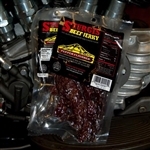 2oz of peppered Sturgis Beef Jerky. Made by the Sturgis Jerky Company & it's super tasty!